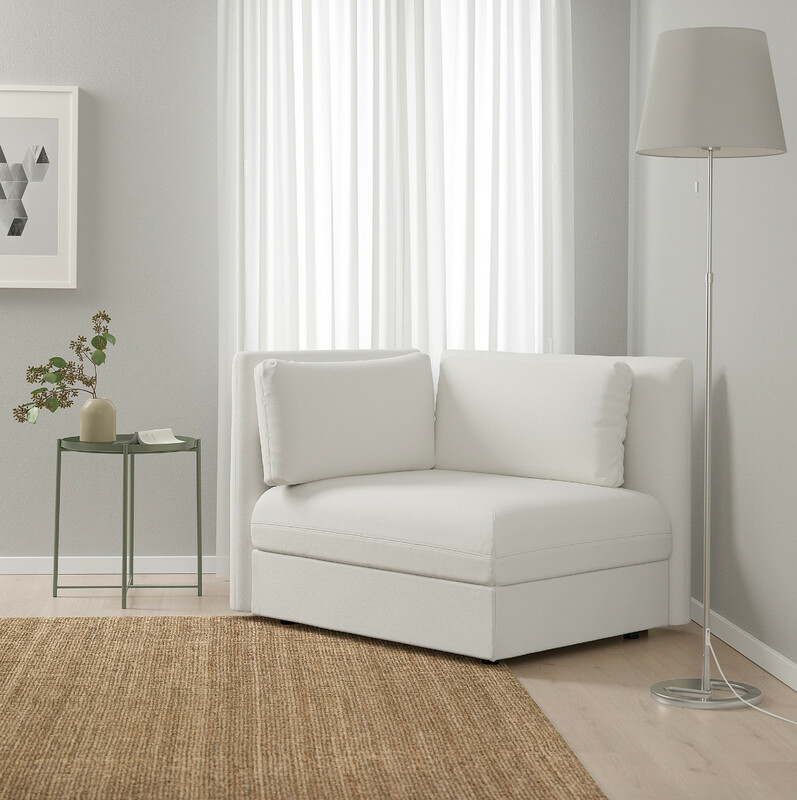 Maximize minimal space with these versatile pieces that are perfect for small living spaces. When I think of a well-done small living space I always think of Jack's apartment on Will & Grace. Jack knows how to live in a small space, and correctly chose furniture pieces that actually work in tiny apartments. 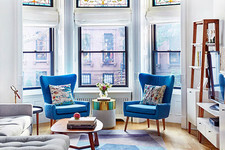 If you grew up in a big house and now live in a tiny apartment, you're going to have to change the way you approach furnishing and decorating your home. While it might seem daunting, it's actually easier than it seems once you learn the secrets to small-space living. Each piece should be selected for its ability to maximize your minimal space, and they should all serve more than one purpose. For example: beds that are sofas, desks and tables that fold into the wall, floating shelves, little love seats, and even chairs that become coffee tables. What's more, you can create the illusion that you have more space than you do by sticking with a light color palette, letting in as much natural light as possible, adopting a vertical design concept, and hanging decorative mirrors to create the illusion of more space. 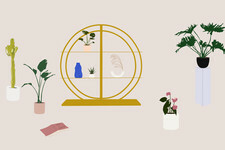 The biggest pitfalls of small-space living include acquiring too many things, not knowing how to store them, and creating an environment of clutter. By being mindful about what you bring into your space, and choosing furniture that actually fits in your tiny apartment, you can turn a small studio in chic pad where you actually want to chill. I mean, who wouldn't want to hang out at Jack McFarland's tiny apartment? Jack's mid-century modern love seat provides seating for two and is flanked by two small accent chairs. The color concept involves white walls and cupboards with bright colors accenting things like cabinet doors. While Jack's pad doesn't include a dining table because — let's face it — he's always eating at Will and Grace's, it would be easy to add a table/desk combo that folds up into the wall. Jack's place has a nook for the bed, but if your small studio apartment doesn't, you can still trick it out by opting for a Murphy bed-sofa combo or a daybed with a trundle. When learning how to live in a small space, you're going to be hemming and hawing over which pieces best fit your needs. Before making a decision, touch each item and embody Marie Kondo's The Life-Changing Magic of Tidying Up, Does it bring you joy? If the answer is no, then it has no business being in your apartment. Looking for some inspo? Check out these 10 furniture pieces that will fit perfectly in your small apartment. If you live in a small studio apartment, you're going to want to make the most of your space by choosing pieces that don't sacrifice form for function. 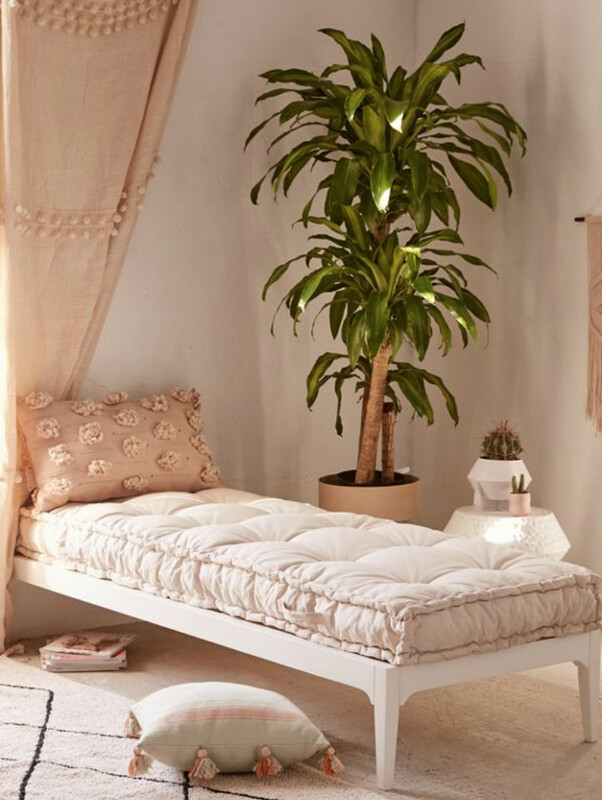 The Hopper Daybed from Urban Outfitters does double duty as a sitting space and a cozy bed. With a modern-silhouette design, this is a piece of furniture that will complement any design concept. You can also use the space under the bed for storage and even get some sliding drawers for clothes or other items you want to be easily accessible but still tucked away out of sight to reduce the appearance of visible clutter. One reviewer said: "I'm in love with this daybed. I purchased the Rohini Daybed Cushion in gray to go along with this mid-century modern daybed. The wood is solid and very sturdy. The platform itself was so easy to assemble. My fiance assembled it on his own in five minutes. I purchased this piece because I wanted a daybed platform that would go with any piece of furniture we are planning on purchasing in the future." Alternatively, you can opt for the cushion in velvet. Just because you live in a small space doesn't mean you have to sacrifice style. 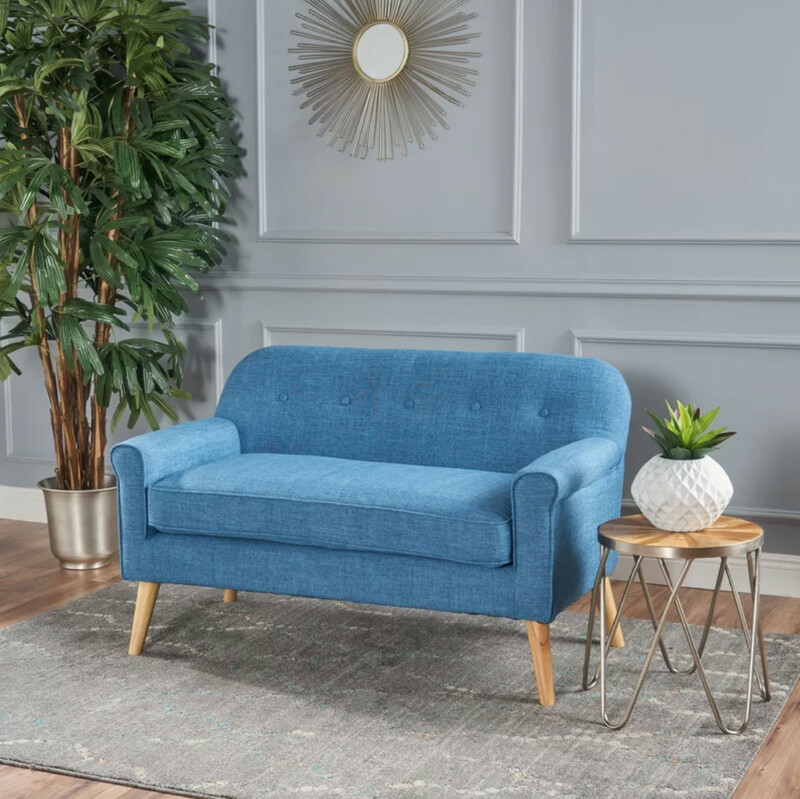 Enter the Enfield Mid-Century Modern Loveseat from Wayfair, a perfect way to make your pad both cozy and chic. "A lover of all things retro, this mid-century love seat sports a clean, unpretentious silhouette, and tapered wooden legs, Wayfair described. Easy to assemble and available in four colors, this piece will serve as the focal point of your apartment while also lending itself to intimate conversations. What's more, it's perfect for snuggling up with someone else to watch a movie on cold winter nights. 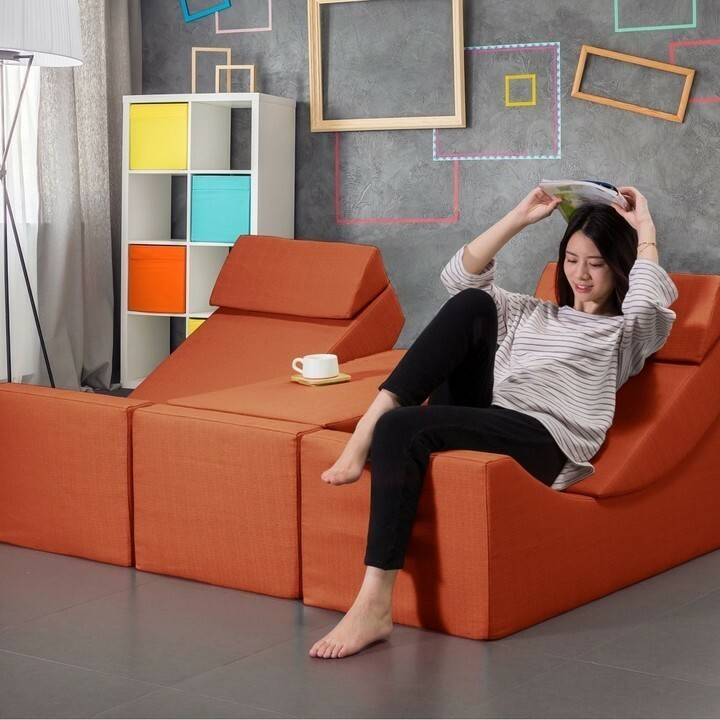 Reviewers love this love seat and proclaim it a perfect fit for small spaces like studio apartments. One buyer said. "For a small apartment in NYC this couch is perfect. You can fit two people on it ... for an apartment you really can't beat the value." Another person noted: "The love seat is perfect in my apartment. It makes it even closer to feeling just the way I want it to." Courtesy of Pier 1 Imports. If your design concept is bright, funky and fresh, then you need this Convertible Trypsin Accent Chair from Pier 1 to complete the look. Because it can be adjusted for a variety of uses, this is the ideal accent chair for every studio apartment. Flip it up to use as a recliner and flip it down to use an ottoman, bench, or even a coffee table. Depending on the size of your space, you can use this as your main sitting area, or tuck it away and pull it out for additional seating when you're entertaining. The chair also comes in pink, gray, red, green and black, which means there's one to match every color palette. This is the chair for trendsetters who want to make the most of their small living space without sacrificing style. You can grab three and create two recliners and a coffee table. This piece is so versatile you can change it around often to give your space a fresh new look every time you're ready for a change. The best way to make the most of small spaces is to choose vertical pieces with clean lines that offer additional storage without creating clutter. This Threshold 4-Cube Vertical Organizer from Target can be easily tucked into a corner. Use it for clothes, linens, or even as a bookshelf. Offered in white, weathered gray and avington, this shelf will complement any design concept and is easy to style to meet your needs. "Love this item was easy to put together and ties my whole entry way together," one reviewer said. "I appreciate how tall this item is and the color is exactly as pictured." Target also offers other storage cubes so you're sure to find one that meets your needs. One of the best things about a simple cube like this is that it's basically a blank canvas. You decide whether you want to to place it vertically or horizontally, or if you want to stack several to create a whole wall of shelving. This cube can also be used in your closet or bathroom to help you stay organized. 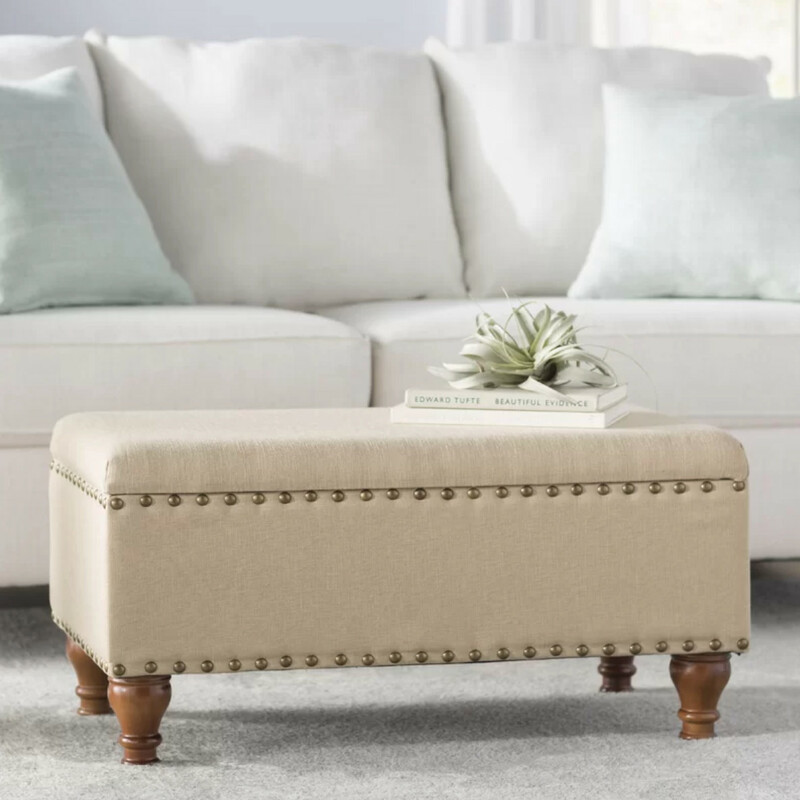 Living in a small space requires creativity, and this means picking pieces that do double duty like this Oakford Upholstered Storage Bench from Wayfair. "Perched atop four feet with turned detailing, this piece is crafted from solid rubberwood," Wayfair noted. Use it as a foot stool, coffee table, and storage bin — it can hold up to 250 lbs. This is basically like getting three stylish pieces in one, which is important when trying to make the most of limited space. What's more, it comes with a one-year warranty so you can try it out risk free. With more than 4,000 five-star reviews, this storage bench is pretty much guaranteed to please. One reviewer said: "I love our new storage bench. We use it as a coffee table substitute and have a tray of candles placed on top. The best part is that it comes assembled and has place for storage." Another person praised the amount of space available for storage. "It looks great in my bedroom and I can fit my huge quilted comforter, sheets, and throw pillows inside of it." Nesting tables might just be one of the best pieces of furniture out there. When I first moved to Los Angeles, I lived in a tiny apartment. A set of nesting tables from Overstock was one of the best purchases I made, and six years later I still use them every day. If you're looking for pieces that perform when you need them and disappear when you don't, this Carson Carrington Odda Nesting End Table Set is an ideal addition to any small living space. 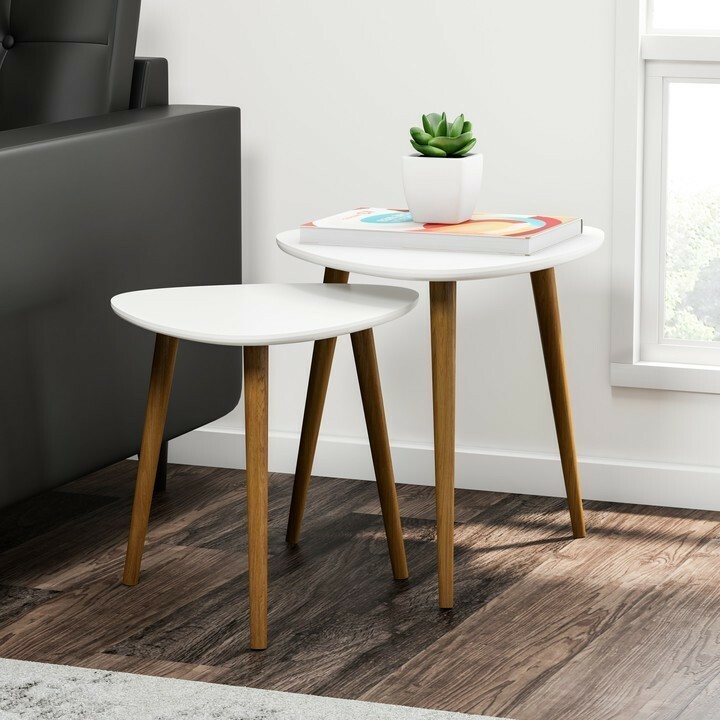 Reviewers on Overstock are raving about these tables: "This is perfect for small spaces! Sturdy, easy to put together, and looks great together or as end tables," one person said. Another noted: "These accent tables fit perfectly into our home without taking up too much room. 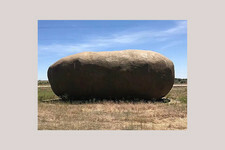 They are easy to move around and useful for different purposes." Choose from black, blue, gray, sea foam, or white. If you're a minimalist who wants to keep your small living space clutter free, select pieces that fold up and disappear when you're not using them. This Turrella Floating Desk from Wayfair can be used as both a desk and a dining table. Not only does it provide additional storage inside, it folds up into a small rectangle that hangs on the wall when you're done with it. What's more, its clean design keeps your small apartment creatively clutter free. "Perfect space saving option. Sturdy enough but lightweight. Lots of storage," one reviewer noted. " I have a small house and it fit perfectly in my kitchen. It gives me a place to keep my office supplies handy and a desk space to work from without cluttering up my kitchen table," another said. 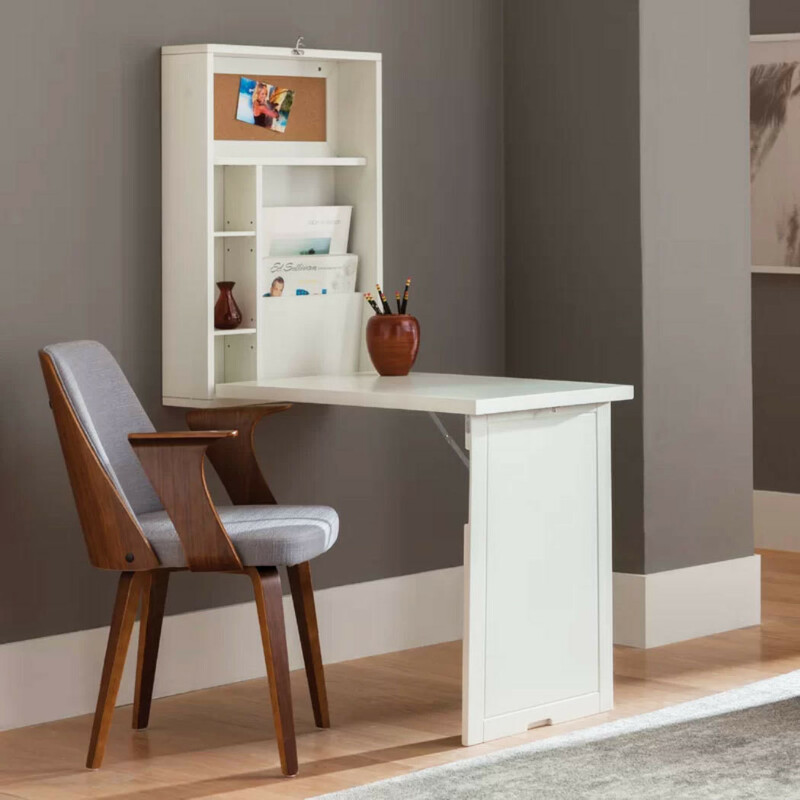 Aside from being functional, this desk is also one of the most useful and affordable pieces you'll buy for your small living space. Depending on when they were built, a lot of small apartments have big bathrooms. However, if your digs are more modern, you likely have a tiny water closet to go along with your small living space. This means you're going to have to get creative about maximizing your space, especially in the bathroom. Enter Westra Over the Toilet Storage. This is another piece that allows you to store up to avoid wasting precious space in your small home. 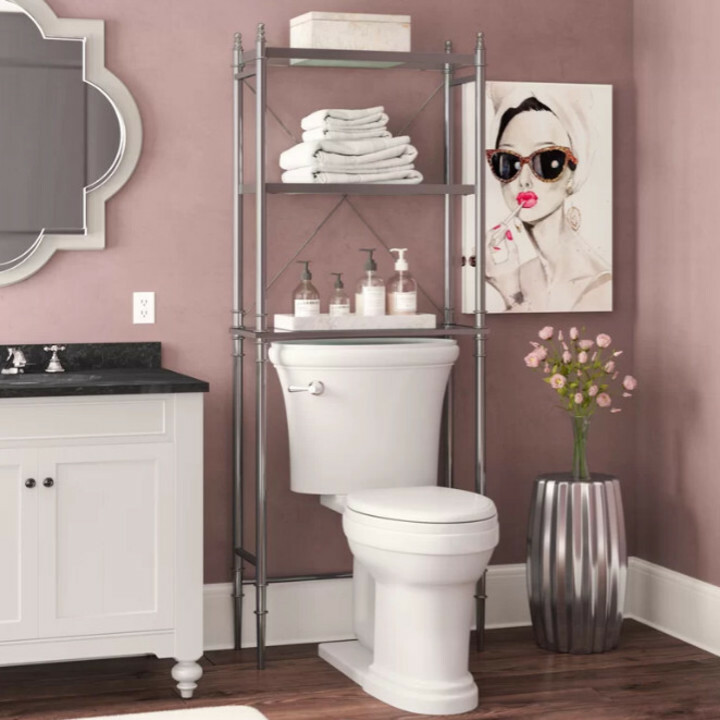 With three shelves, this small-space storage solution can be used to store beauty products, towels and linens, as well as things like your blow dryer, curling iron, and flat iron. I had one of these in my last house because the bathroom was so tiny that you could stand in the middle and touch all four walls. It had a teeny, tiny medicine cabinet that could fit a toothbrush, and a small cabinet under the sink. Being able to easily add additional over-the-toilet storage was a life saver. 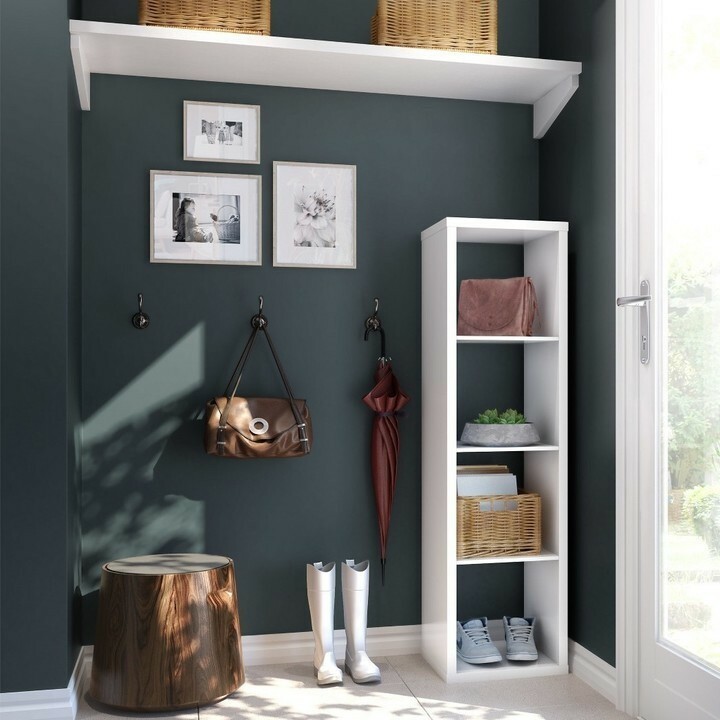 Keeping things off the floor is a great way to make small spaces appear larger, which is why these EKBY ALEX Shelves With Drawers from IKEA are a must have. 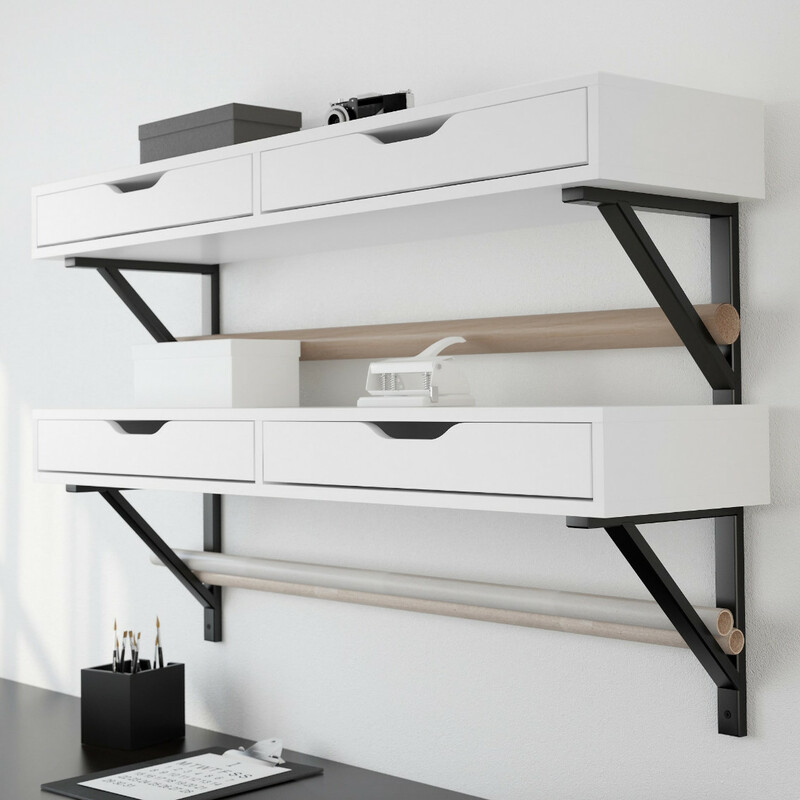 Available in both white and black, "EKBY ALEX allows you to keep your favorite items visible on the open shelf, and hide away things you need close at hand in the drawers," IKEA noted on its website. Hang one of these over your desk, bed, or even in the kitchen to create a clutter-free storage solution. While the shelves come complete with assembly instructions, because these are wall mounted you might need additional help. You can search for a TaskRabbit right on the IKEA website to secure someone who can come and help you hang your new space-saving shelves. Personally, putting things together is not my jam, so I'd definitely opt to get someone to help. 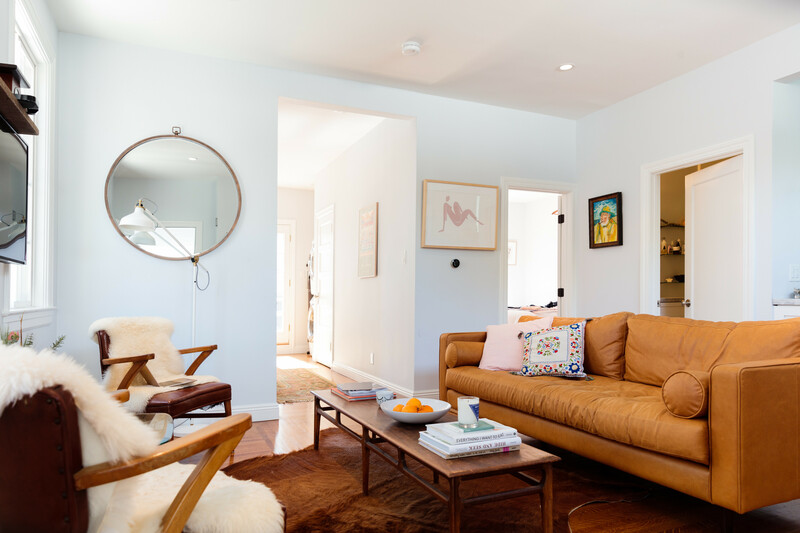 Whether you're in a small space temporarily or you're committed to living in a tiny home for the long haul, choosing versatile furniture that can change when you do is key. The VALLENTUNA Sectional from IKEA is ideal because you can opt for just one piece for yourself or multiple pieces to make a sofa. If you eventually move into a larger space it's easy to add to the sectional to create a sofa or love seat. Available in both white and black, this is a space-saving option that can grow up with you. "All modules in the VALLENTUNA series can be used freestanding or together to create a sofa combination in any size that suits you perfectly," IKEA noted. "VALLENTUNA retains its comfort for a long time with generous seating and pocket springs that follow your body." This sectional is an investment in your present and your future. We hope you love these products! So you know, Lonny may collect a share of sales from the links on this page.